The Dune Bandits rule the great Plains of Rust. They have taken over an abandoned monastery deep in the wasteland. 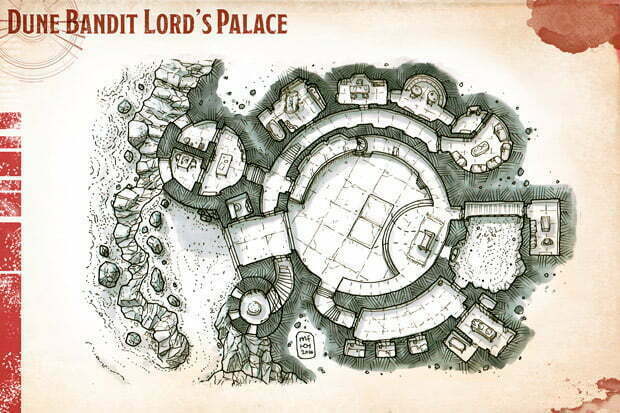 The bandits call it the Palace and it is also the den of their lord. An evil and savage tyrant of the wastelands who will feed all who oppose him to his vile beasts. This map was originally published on Patreon with the support of my awesome patrons in September 2016.